Mary’s interests consist of cognitive therapy, developmental psychology, natural health & nutrition, gardening, and crafts. My household was struggling just to groceries into the home. After paying bills, we would often have about $100-$120 a month to feed three people, tend to pets, put fuel in cars and cover any surprise expenses. Obviously, this was not going over very well; there's not a lot I could get with that amount. I had to find another way to supply us with our grocery needs. The shopping with coupons ray of hope. I had seen a broadcast bit on the news about extreme shopping with coupons and thought “Wow, maybe that can be just what we need to help us.” Of course, it didn’t really explain how to use coupons in the most effective manner. Obviously, I just need more knowledge to make it work for myself. After scouring blogs, articles, and books, I began to create my own coupon system. Keep in mind that my grocery budget has not increased. However, the amount of food I have been getting from using coupons has. I have constantly been saving at least 40% off my total grocery bills. Yes, I save good money with every shopping trip! Yes, I am an extreme couponer, often saving 90% or more! Sometimes I coupon. Sometimes I don't. No. I just don't think it's worth it..
No. But I would like to! How to use coupons to lower your grocery bills. Here are the basic steps I use for saving money on groceries. 1. Make good use of store sales. Some stores still offer store coupons in their sales circular, while others offer the sale price when you utilize their store card. So, the first thing you want to do is buy whatever you need at sale prices and only when they are on sale. Taking advantage of buying strictly sale items will automatically save about 20% off your grocery bills. In order to benefit from this, you may have to try other brands of items, or stock up on your preferred item while it is on sale. Watching for sales and learning the cycles of when certain items will go on sale comes with time, but is well worth the attention. Manufactures coupons can mostly be found in Sunday paper inserts. Coupons can also be found in some magazines, as well gaining printable grocery coupons online from coupon sites such as www.Coupons.com, Smartsource.com, RedPlum.com, Pillsbury.com, BettyCrocker.com, or by seeking free coupons online at your favorite brand name websites. If it’s coupons for organic foods that you’d like to obtain, I have found that MamboSprouts.com carries a good variety of printable grocery coupons. Also, OrganicFoodCoupons.com provides links to other organic food coupon sites. There are also stores who offer digital coupons that you can add to their store card. 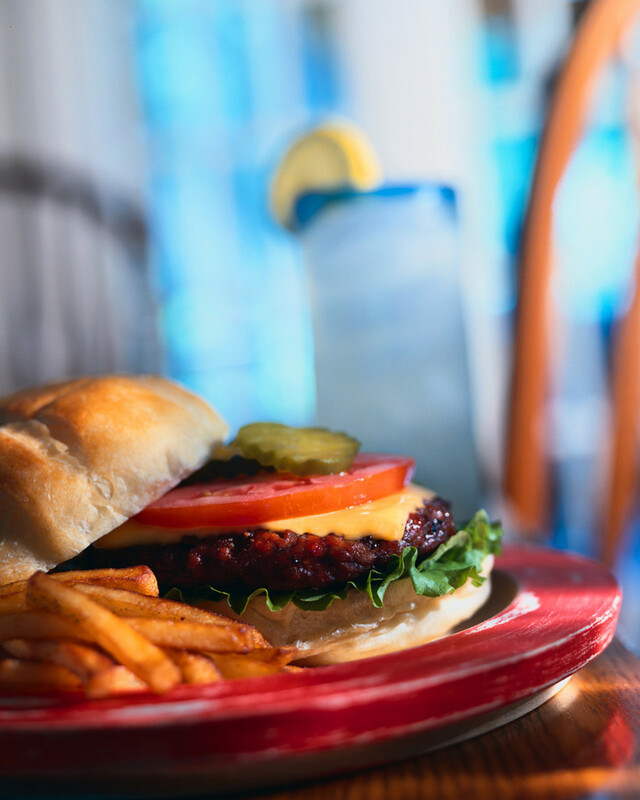 At first, collecting coupons can seem a bit overwhelming, that is until you get a coupon system down. The key is to start with whatever you can handle. This doesn't need to be a competition. The goal is all about saving money on groceries with coupons. 4. Figure out where you can use the most savings. The first big savings I noticed was in personal hygiene products. These products would really stress me out to purchase when needed. I would watch half of my grocery money disappear into personal hygiene products. I’ve heard others say that household cleaning supplies are their largest expense at the grocery store. So, even if you begin by using coupons for these types of items, you will see less money being spent on them. None of those coupons will do you any good if you don’t keep them organized in a way that produces great results for you at the grocery store. I started by using a single envelope to hold my coupons. As I was shopping, I would move the ones I’d present at the register to the front portion of the envelope. Soon, I moved up to a 13 section envelope sized accordion file where each of my sections held coupons for specific departments in the store, such as dairy, frozen foods, boxed goods, canned goods, personal hygiene, pet care, etc. But I made sure that I kept the very front section empty for the coupons I was utilizing during my shopping trip so I could easily hand them over at check out. 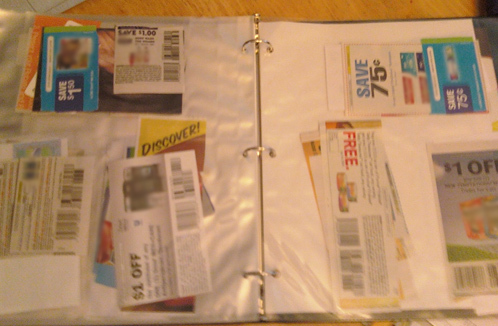 Recently, I moved on to a one-inch binder method with those clear pages that are made to hold photos or collector cards to hold my coupons and I still have my pages divided out by departments. Finding what organization method is easiest for you is an important key for shopping with coupons. The most amazing part for saving money on groceries is to combine sales items or store coupons with manufacturer coupons. For instance, you see an item on sale and you also have a manufactures coupon or a store coupon; you'll end up paying even less for that item. Sometimes, you may even get lucky enough to find an item on sale, plus be able to add a store coupon and a manufactures coupon. This is often referred to as coupon stacking. ChaChing! If your store has any double coupon days or deals make the most of it. Being able to double the value of your manufactures coupons is great! 7. Getting help with match ups. It’s a daunting task for anyone using coupons to attempt to gain all the data about what’s on sale at a store and to know what manufacture coupons are available to maximize savings. 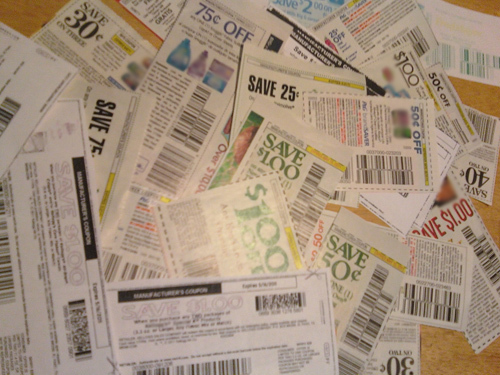 There are really great blogs out there where an extreme couponer does the work for you. They scan the stores' ads and find coupon matchups to maximize saving money on groceries. However, not all blogs will list the stores in your area. For me, I'd find the best blog for my area by doing a search using the name of the store I shop at + deals. For instance, “Albertsons deals” or “Walgreens deals,” etc. Some couponing blogs also provide information for obtaining free samples of products. By obtaining these free samples, you may also get a coupon for future purchases on that product. 8. Plan your shopping trip. Again, organization is a huge part of success when shopping with coupons. So, plan your shopping trip before you head to the store. Make a list of the items that you plan to purchase, next to the item write the sale price, and also write if you need a store coupon to get that price and if you also have a manufactures coupon to add to it. This method makes it easier to know when you need to pull a coupon out from your organizer to add to the stack that you will present at check out. However, if your coupons are organized and easy to find, then as you wander through the store and find a good sale or clearance item, you can easily see if you have a coupon to use for that item. 9. Learn about store policies. Make sure you understand your stores' coupon policy. Every store has different policies, but you can often find coupon policies through their website. Treat your coupons like grocery money, have fun using coupons and enjoy saving money on groceries! If it’s not fun, then the rewards may not be worth it to you. Be sure that you learn about and do whatever makes couponing the most fun and simple for you. All these tips are great! Shopping smartly can definitely save us lots of money. Rated up and useful! The trick Dolores, is to keep your eye out for items when they go on sale and then use a coupon with it. I've got some super sweet deals on brand items... even getting some for free at times! However, if the generic brands are still cheaper, I still opt for them myself. It definitely takes a lot of attention to detail! I've never really done well with coupons but am interested in the whole super coupon thing. Most coupons that I see are for food items that I do not buy. So, even using the coupon, I'd be spending more money. If you purchase brand name products, I guess it would make a big difference. But I usually buy Brand X. Haha. Thanks for the tips. I personally like the getting organized one since from time to time, I see a coupon but I lose track of the expiration date or the brand name of the product (your binder's a cute idea). Good luck Jen! Actually, you don't need luck. Once you start using coupons, it's all good; it's all just a matter of finding a method that's best for you! Now that my husband has retired we are going to use coupons more often to save on our food bill. Thanks for the very helpful tips. I look forward to saving money. Thank you so much Niki, for the kind comment and the inspiration. I am going to your blog now. My best to you! I am what I call a super couponer. I completely understand your situation. I work at home as much as I can, but the reality is I have three boys to take care, am 8 1/2 months pregnant, running the household and my husband has three back surgeries within 44 days. Needless to say, he has no income. Thankfully, I was able to get all of us on state health care and they maxed us on food benefits- but my super couponing takes those food benefits as far as I can get them. My first month (May) I saved over $2,000 off retail and built a stock pile of over $5,000. With a family of six (almost) and two, almost three in diapers incidentals are expensive. Great post and hang in there! You will start to see amazing savings.